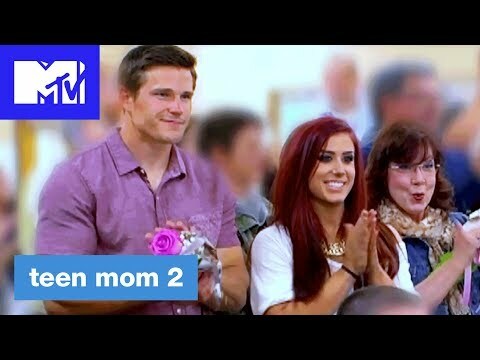 Teen Mom 2 is a spin-off of the MTV documentary series "16 and Pregnant". The show follows the stories of four girls from the second season of "16 and Pregnant" and documents the challenges of their first years of motherhood. Each episode interweaves stories of four teenage girls who are navigating the bumpy terrain of adolescence, growing pains, and coming of age - all while facing the responsibility of being a young mother. 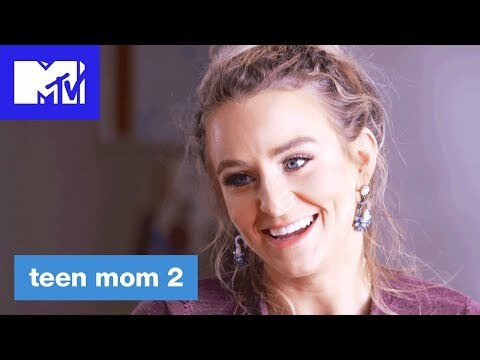 This season on "Teen Mom 2," Chelsea is happy and in a healthy relationship with her new boyfriend, Cole, who treats her right and is wonderful with her daughter, Aubree. But when her ex, Adam, returns to file for joint custody of Aubree, Chelsea's world and the life she has worked so hard for feels like it will come crashing down at any moment. After having her second baby, Kaiser, and moving in with Nathan, Jenelle has the stability she has always wanted. But when she gets fed up with her mom Barbara's excuses not to let her see Jace, she decides to pursue regaining full custody of him. Meanwhile, after a whirlwind proposal, her relationship with Nathan spirals downward fast when he is arrested after a series of volatile fights. Despite these setbacks, Jenelle is determined to work things out with Nathan for their baby and build the kind of home that could get Jace back for good. Kailyn has an explosive start to the season when Javi sees texts to a guy from school on her phone. Despite couples' counseling, they struggle to keep their marriage together as several arguments over jealousy bring them closer to divorce. On top of this, Jo's girlfriend, Vee, is pregnant and the couple decides to move to Delaware to be closer to Isaac. With school, motherhood and a failing marriage occurring all at once, Kailyn has more on her plate than ever before. Leah is feeling stress from all fronts. Her marriage to Jeremy is already in a fragile state as she tries to move past rumors of cheating and shoulders the weight of taking care of three children on her own. Moreover, her ex, Corey, pushes Leah's limits as he asks for a court-ordered drug test and tries to gain full custody of Ali and Aleeah. When Jeremy files for divorce, Leah reaches her breaking point and decides to go away for intensive therapy.